Feeling touch I felt light and delicate ... but ... It is very warm and easy to wear when I try it. I think that sewing is weak a bit, but I think that Cospa is expensive. I do not soak it if it rains a little. I thought it was a good product. This review is about item#40456044. There is not any decoration, but it is functional enough and it is a good product of COSPA. It does not fit at all and fray comes out, and it is typical of cheap goods without durability. The left thumb part split in less than two weeks after purchase. Such a terrible product has never experienced before. I use it on a scooter to use for commuting. I think that building is good for the price. Non-slip etc., comfortable to use is good. However, because the fabric is thin, the fingertips will get cold. I want you to make it warmer a little more. 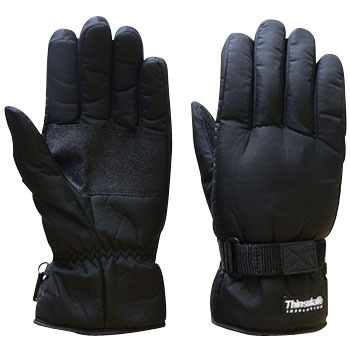 Although it is a winter glove, it is tight in the winter season. It's for spring and autumn.